While the Colorado Nurse Practice allows the Board to require CEs for renewal it is not mandatory. Therefore the Colorado State Board of Nursing does not require CEs for RNs, LPNs or APNs. 19.01.10 Qualifications. 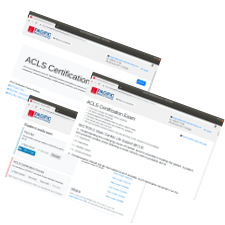 b. Licensees shall be considered “trained” to administer vaccines and immunizations to a person only if: (2) The pharmacist or pharmacy intern holds a current basic cardiopulmonary resuscitation (CPR) certification issued by the American Heart Association or the American Red Cross or a basic cardiac life support certification. Under More Information, click on Colorado EMS education, certification and scope of practice rules - 6 CCR 1015-3. Infectious Waste Management plan, consistent with CRS 25-15-401, including segregation, identification, packaging, storage, transport, treatment, disposal and contingency planning for blood spills or loss of containment of Infectious/Regulated Waste. A man working in construction was saved through CPR performed by his coworkers in late September. When he collapsed due to cardiac arrest, coworkers began CPR and called 911. This is the second time coworkers had found him not breathing and with no pulse. The same man collapsed at work in 2012 and was saved by his coworkers quick response and knowledge of CPR. A toddler was suffering from a seizure at the Vistas Apartment complex in Colorado springs, a screaming mother started calling for help when an unidentified neighbor arrived to help by performing CPR on the 2 year old girl until the police arrived to take her to the nearest hospital for observation. A survey conducted by the University of Colorado School of Medicine on 54 people showed that men are most likely to refuse to do CPR on women as they might be accused of sexual harassment or of taking advantage of the situation to touch the woman victim inappropriately. Health practitioners, however encourage anyone who knows CPR to help people regardless of gender, or age during emergency and help save lives.